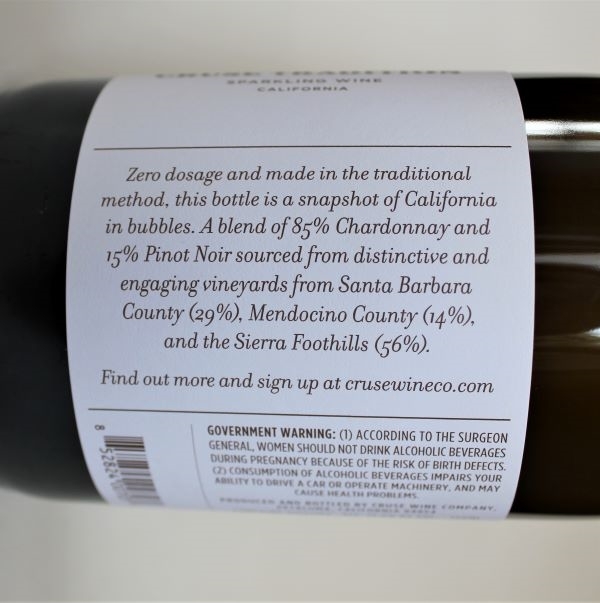 Zero dosage and made in the traditional method, this bottle is a snapshot of California in bubbles. 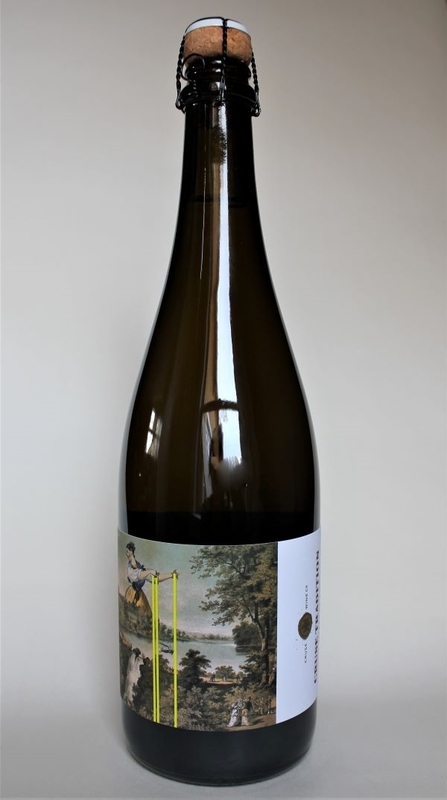 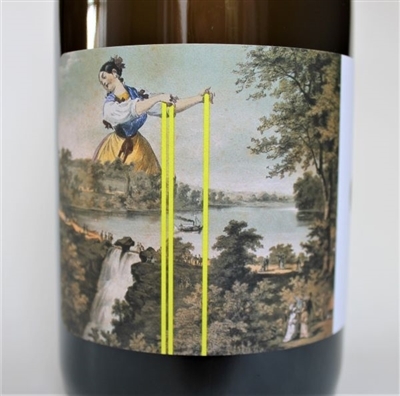 A blend of 85% Chardonnay and 15% Pinot Noir sourced from distinctive and engaging vineyards from Santa Barbara County (29%), Mendocino County (14%), and the Sierra Foothills (56%). 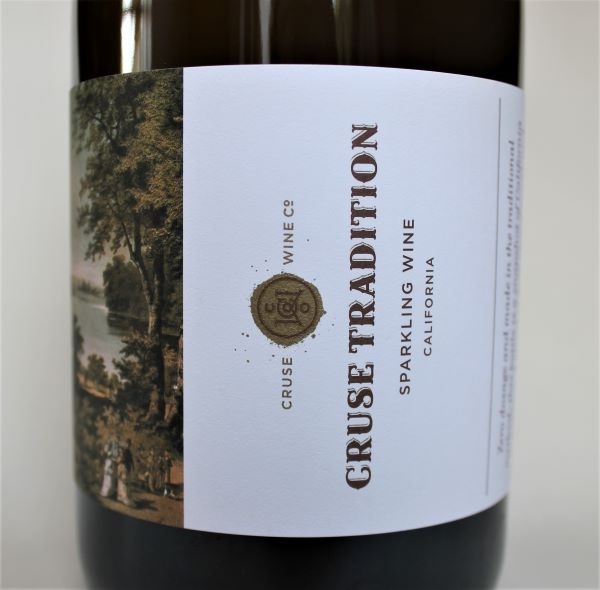 | Cruse Wine Co.